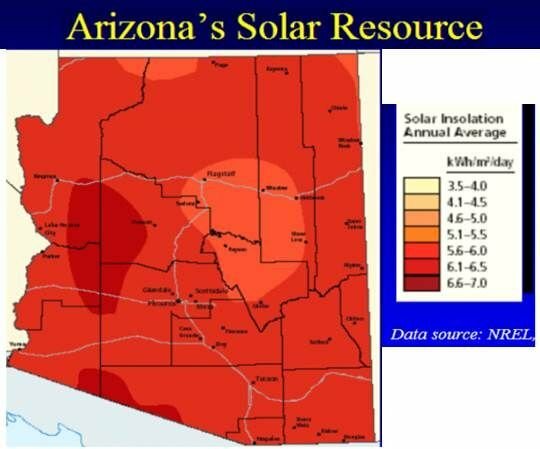 With GTM heading to Phoenix for a Solar Summit May 1-2, it seemed only right to take a look at how sun is doing in Arizona. 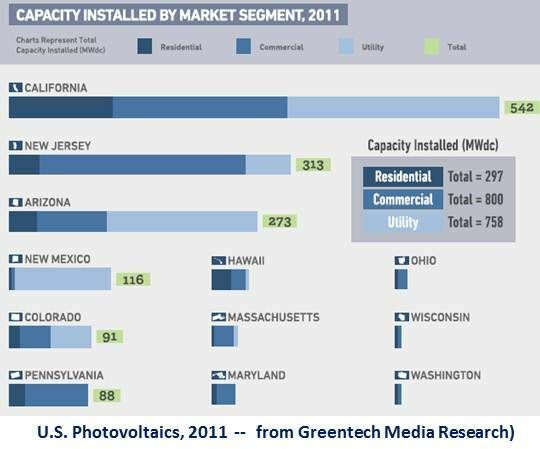 At the end of 2010, Arizona had 128 megawatts of installed solar capacity. 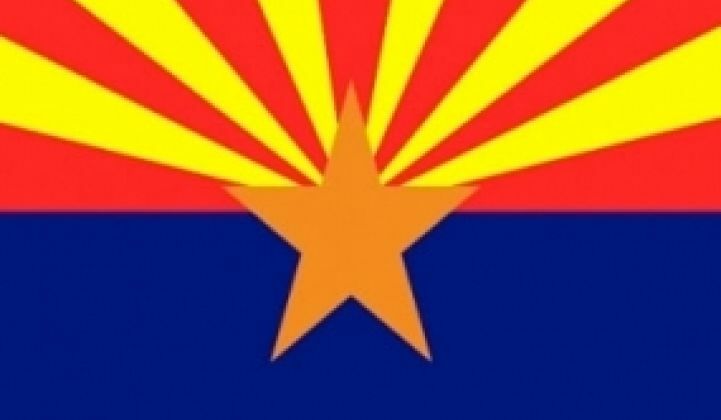 Its Renewable Energy Standard (RES) requires Arizona Corporation Commission (ACC)-regulated utilities, which include Arizona Public Service (APS) and Tucson Electric Power (TEP), to obtain 15 percent of their power from renewable sources by 2025 and specifies that 30 percent of that come from distributed generation. Salt River Project, Arizona’s second largest utility, is not regulated by the ACC, but has set a goal to obtain 20 percent of its power from sustainable resources, which include demand response and energy efficiency as well as renewables, by 2020. The most notorious example of the ACC’s wavering, Bahr said, came after the five-person commission was reconstituted along more conservative lines in the November 2010 election. In July 2011, the ACC voted, along strict party lines, three Republicans to two Democrats, to allow Mohave Electric to substitute an 11-megawatt trash-to-gas power plant for part of its RES obligation. 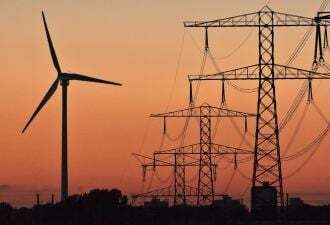 This was granted despite the fact that when the standard was originally set, in 2007, it specifically ruled trash-to-gas as too polluting an electricity source to be a substitute for renewables. Mohave Electric CEO Tyler Carlson argued that the trash-to-gas power plant could reduce costs to ratepayers by saving some of what the utility spends on solar. But “the trash-burner costs almost twice as much to build” and “twenty times more to run,” Democratic Commissioner Paul Newman told GTM, questioning the Republican commissioners’ approval of the project. “What are they thinking, and whose interests are they serving?" The commission’s decision is currently under legal scrutiny and reconsideration may be required; whether the political atmosphere will support a reversal remains to be seen. Another political shift, the Sierra Club’s Bahr said, is happening in the state legislature. “It is considering a bill that would cap the RES. Why you would cap it is beyond me.” Developers, installers and manufacturers have been attracted to the state because of strong policies, she explained. Phoenix construction jobs dropped 14.4 percent in 2010, according to the Arizona Department of Commerce, but Arizona moved from eighth to third place nationally in providing solar employment, going from approximately 3,800 to 4,786 jobs, in 2011. A third of those jobs were in installation. Arizona also has, according to a National Renewable Energy Lab study, the third best combination of land area and resource potential in the U.S. for utility-scale solar power plant development (behind Utah and New Mexico). In 2011, Arizona had nine utility-scale projects with power purchase agreements (PPAs), eight of them photovoltaic projects.